First of all, we were forced into a 3 year contract and was told that there were no other options available to us. Secondly, my husband lost his job, was forced into retirement and we had to move 3 times in the last year. We have been paying $41.99 per month for almost a year now for a system that we can't use and can't afford. They will only let you out of the contract if you prepay the remainder of the entire contract, ($587.86 in our case) which is absolutely no help to us at all. Unless you have an unlimited income stream, and know that your living and financial situation will not change over the next 3 years, you need to choose another security company. Hey KWill, we’re sorry to hear about your situation. While our security services do require a 3 year contract, we do try to work with our customers as much as possible. We know that every situation is different. If you’d like, could you DM us with some additional information so that we can review your account? Thanks and please let us know if you have any questions! Hey Chad, we’re sorry to hear that we are calling you too often. Our sales solutions specialists are passionate about our security solutions - nevertheless we do respect when you don't want to hear from us! You can also request to be added to the do-not-call list via our website. Thanks and please let us know if you have any questions! They are always wiling l to help you and they have great customer service! The set up and install has been easy. The price point is affordable. The system is user friendly. The phone app has had issues of being offline from time to time but I've noticed some improvements on that working better. The warranty on the equipment was a big sell point, along with the locked in price and the system can go with you. They took their time, explained everything in detail and did a great job with several projects on my home. I will be calling on them again next time I have an electrical need. They will lie. Sly business practices to get customers hooked into a 3 year contract. Hi there, we appreciate you taking the time to leave us feedback on your experience. At Protect America we are always looking for ways to improve our service through valuable customer insight. If you’d like, please let us know of any incidents where you were lied to so that we can look into the incident. We absolutely don’t allow our security solutions representatives to lie in order to sign someone with our services. Thanks and please let us know if you have any questions. very freindly,for what iam paying for i really feel iam getting a great value for my money, also the man who helped me set it up was very nice and goog at what he does . Hi there, we’re sorry to hear that a customer service representative with us was being rude to you and we appreciate you taking the time to leave us feedback on your experience. At Protect America we strive to make our support system as pleasant and quick as possible and we always value customer insight! If you’d like, could you DM us with some additional account details so that we can assist you with the service issues you’re having? Thanks and please let us know if you have any questions. It was easy to set up and the set up phone call customer service provider was incredibly patient and helpful. They have a great product and great service. Easy to install and operate. Excellent support. From day one I have had issues with this company. Most recently had an alarm event (front door was pushed open) alarm rang for 4 minutes and I had already turned off the alarm before anyone from the dispatch center called me to see if I needed help. Worthless company!!! Hi there, we’re sorry to hear about this! At Protect America we strive to have as fast a response time as possible and your peace of mind is certainly our top priority! If you’d like, could you DM us with some additional details so that we can assist you with these issues? Thanks and please let us know if you have any questions! DO NOT USE THIS COMPANY! I HAVE EXPERIENCED THE WORST CUSTOMER SERVICE FOR THE PAST 2 YEARS. I PAID 2 ALARM COMPANIES FOR THE PAST 2 YEARS BECAUSE PROTECT AMERICA FAILED TO PROPERLY INSTALL MY SYSTEM. AS OF TODAY I STILL HAVE A SENSOR NOT WORKING. I HAVE CALLED THIS COMPANY MANY TIMES WITH SYSTEM PROBLEMS AND FAILURES. ONE OCCASION MY "stay and away" FEATURES WERE CROSSED UP . WHEN I SET STAY THE MOTIONS WOULD GO OFF AND WHEN I SET AWAY THE MOTION WOULD NOT WORK. THERE WERE VARIOUS OTHER ISSUES I EXPERIENCED SINCE I HAD THIS SYSTEM. PROTECT AMERICA SENT A TECH OUT TO COMPLETE THE INSTALLATION AND I WAS TOLD BY THE COMPANY THE TECH INSTALLED THE MOTION SENSORS UPSIDE DOWN. SINCE MAY OF 2017 I HAVE SPOKEN WITH 20 OR MORE PEOPLE AT PROTECT AMERICA ABOUT MULTIPLE ISSUES. I WOULD SUGGEST NOT TO USE THIS COMPANY FOR ANYTHING LOOK EELSEWHERE. I WILL BE SOOOO HAPPY WHEN MY LAST YEAR IS UP. I WILL BE CUTTING ALL TIES. LATER, PROTECT YOURSELF AMERICA! Hey Brenda, we’re sorry to hear that you’ve had so many issues with our equipment. All of our equipment is always pre-programmed and fully customized by our security experts based on the customers’ needs and should be working out of the box. Installation should be just a matter of affixing the equipment with our provided adhesive strips where you want it to go. We certainly want to correct any issues or malfunctions you might be having with our equipment! Could you please DM us with some additional details so that we can review your account and assist you with these issues? Thanks and please let us know if you have any questions. Salesman was too assertive and price was too high. Hi there, we’re sorry to hear that our sales solutions specialist was being too pushy! Our sales solutions specialists are passionate about our security solutions - nevertheless we do respect when you don't want to hear from us! If you’d like, please feel free to DM us with any concerns or questions. Thanks! Hey Dominic, we appreciate you taking the time to leave us feedback on your experience! We do rely on a 3 year contract in order to provide enough equipment up-front for total home protection. We understand that this approach is not for everyone. Please feel free to DM us with any concerns or questions you might have about our service. Thanks! All persons we dealt with were friendly and competent. The only reason I did not give 5 stars was that the material we saw implied that the installation was free. In effect, it was free for them as you are the one doing the installation as they walk you through it via telephone. This product and service is high quality!! The only issue I've experienced is the delay when communicating via email. I like the technology Protect America provided to keep my business secure. Equipment was very simple to install and step by step assistance was provided via phone throughout installation process. The service is superb. There is a direct line to reach control/monitoring center for issues related to alarm system. And a separate number for billing inquiries. I also like the simplicity and flexibility of Protect America's remote app for downloaded Android or Apple which gives me the convenience to arm or disarm my entire system at the tip of my fingers. Great response time to a false alarm. Customer service was very thorough in the set up process as well. Excellent system, service, response time and equipment. Got a great security system from Protect America at an excellent price. The salesman was very helpful to understand what we needed and customize a package around our needs. The system came a few days later and was very easy to setup. I got protect america in 2013 for burglary, fire, smoke and carbon monoxide monitoring. Now I find out they no longer do the above in New York, only burglary. My monthly rate remained the same for half the services. Not fair at all. And I purchased all that equipment for nothing. Now I gotta shop for a new security company. Maybe protect america should have renewed there license. Hey Chris, we’re sorry to hear about this. 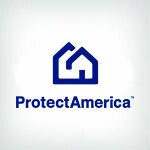 At Protect America our customers’ peace of mind while we protect their homes is certainly our priority. If you’d like, could you please DM us with some additional details so that we can look into this? Thanks and please let us know if you have any questions! Protect America was very good up until they got an outside monitoring company, Our front door was opened by a relative one morning @3:30 and Protect America never called to make sure we were ok, I guess that a murderer or robber would have been very happy with PA, but not me I have since replaced my system, very unhappy with Protect America. ProtectAmerica could see the alarm, but the monitoring company had no record of an alarm. Worthless for protection. Different day. As for your response, I had someone from Protect America on the phone for about 2 hours, they had me set the alarm off and wait for 1 minute and 40 seconds while the alarm was going off to see if the monitoring company would call, they had me disarm the system but the monitoring company never saw the alarm even though Protect America was seeing it for over a minute and a half, no record of alarm going over 30 seconds by the monitoring company. WORTHLESS now with new monitoring company. Hey Kenny, we’re sorry to hear that your system did not alert you properly. Our customers’ peace of mind while we protect their home is certainly our priority and we certainly want to correct any issues you might be having with our equipment. We do encourage regular testing of our equipment to make sure everything is working properly and unfortunately certain communication issues can sometimes prevent us from identifying the issue remotely. Would you mind direct messaging us with additional details so that we can help resolve these issues? Thanks and please let us know if you have any other questions or concerns. Call me 5 times a day even after I told them I purchased something else. Hey Stu, we’re sorry to hear that our sales solutions specialists are calling you too often. Our sales solutions specialists are passionate about our security solutions - nevertheless we do respect when you don't want to hear from us! You can also request to be added to the do not call list via our website. Thanks and please let us know if you have any questions! Constant phone calls, several each day. I dont want to deal with someone that is that needy for business. Hi there, we’re sorry to hear that our sales solutions specialists are calling you too often. Our sales solutions specialists are passionate about our security solutions - nevertheless we do respect when you don't want to hear from us! You can also request to be added to the do not call list via our website. Thanks and please let us know if you have any questions! I reached out for information and a "Free Quote" then I received a call from Lisa and when she called I told her that I had another appointment coming right up so I provided the basic information and we agreed Lisa would call back. I did not receive a call back, but got an email without the estimate. I have since called to speak to Lisa, the first time was told she just stepped out to lunch so I said I would call back. I called back the second time but Lisa was on the phone so I asked for a call back that never happened. I will not play phone tag with any company to do business. Hey Wesley, we’re sorry to hear that Lisa didn’t honor your agreed schedule! At Protect America we take scheduling very seriously. Let me reach out and see what happened for you. Thanks and please let us know if you have any questions. Hey John, we’re sorry to hear that our sales solutions specialists are calling you too often. Our sales solutions specialists are passionate about our security solutions - nevertheless we do respect when you don't want to hear from us! If you have any more problems you can also request to be added to the do not call list via our website. Thanks and please let us know if you have any questions! Hey Jeff, we’re sorry to hear about this. At Protect America we strive to eliminate hold times and make it easy on our customers. If you’d like, feel free to DM us on here and we’ll be sure to get you some help! Thanks and please let us know if you have any other questions. Hey Fran, we’re sorry to hear that we are calling you too often. Our sales solutions specialists are passionate about our security solutions - nevertheless we do respect when you don't want to hear from us! If you have any more problems you can also request to be added to the do not call list via our website. Thanks and please let us know if you have any questions! Hey Rita, we’re sorry to hear that you’re cancelling your service. We understand that circumstances change, that’s one of the reasons we designed our equipment to be easy to move from one location to another to make it easy on our customers. If you’d like, feel free to DM us on here and we’ll be sure to get you some help with this. Thanks and please let us know if you have any other questions. Great technical service. Great customer service. Easy install. Great staff, helpful and knowledgeable. Very responsive to request. Timely in responding. Easy, cheap, great service and gave me peace of mind! Easy to install, fine operation and good customer support. the system is very easy to use. We feel super safe. I love being able to use the app. The salesman heard my security needs and suggested their equipment to meet my needs, but once I received the equipment it does not meet any of my needs. I am most disappointed because they have made no attempts to make it right and they actually do not have any equipment to meet my security needs. I thought they would try to make it right someway but they have not. Hey Don, we’re sorry to hear that your needs are not met! At Protect America we strive to give all of our customer’s peace of mind through customized security options. If you’d like, could you DM us with some additional details so that we can assist you with this issue? Thanks and please let us know if you have any questions!